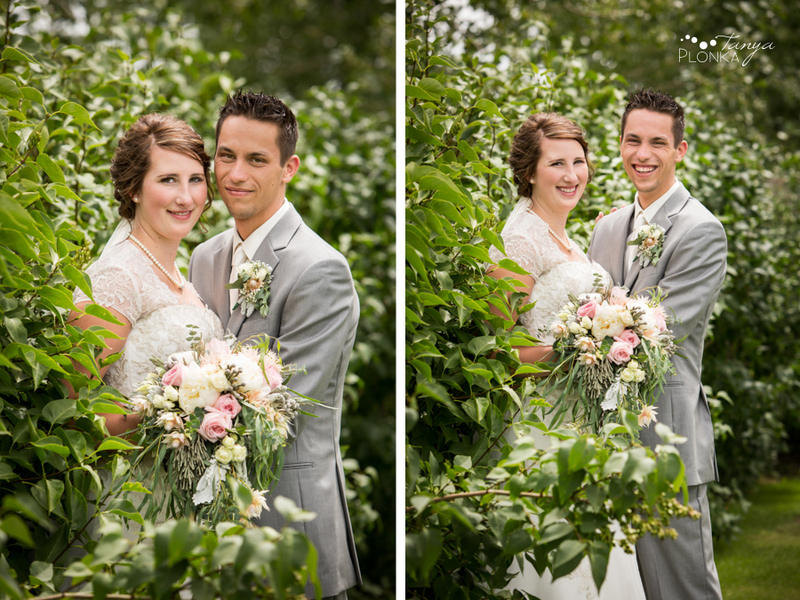 I already got to work with Jelaina and Daniel briefly at her sister’s wedding last year so it was awesome to focus on them this time! 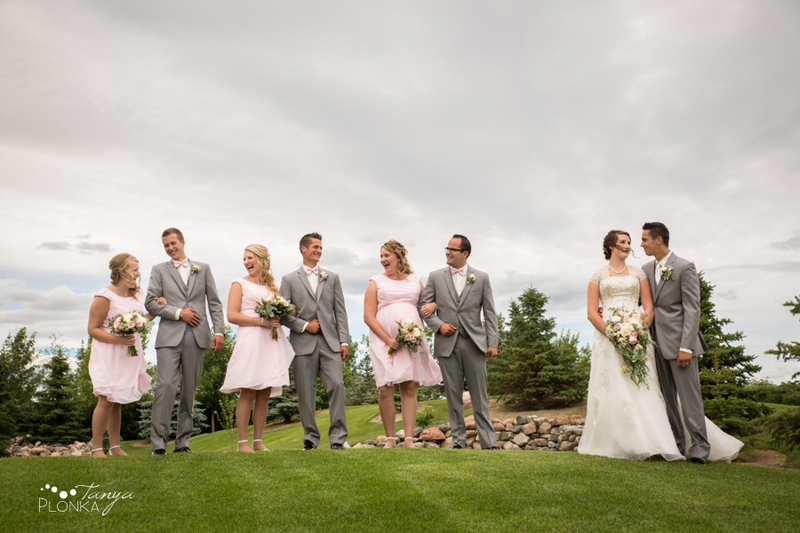 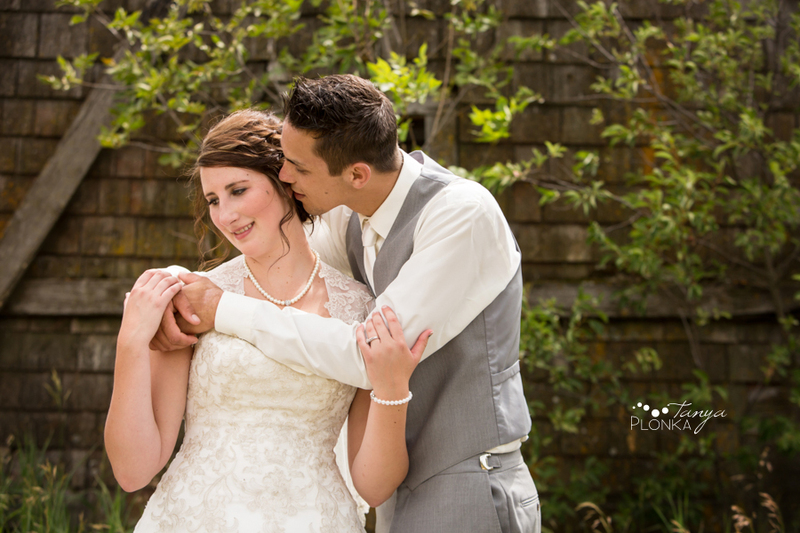 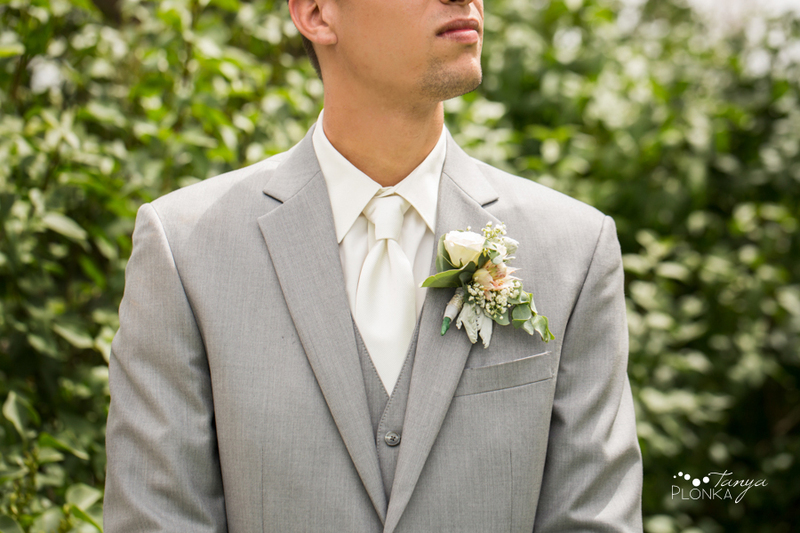 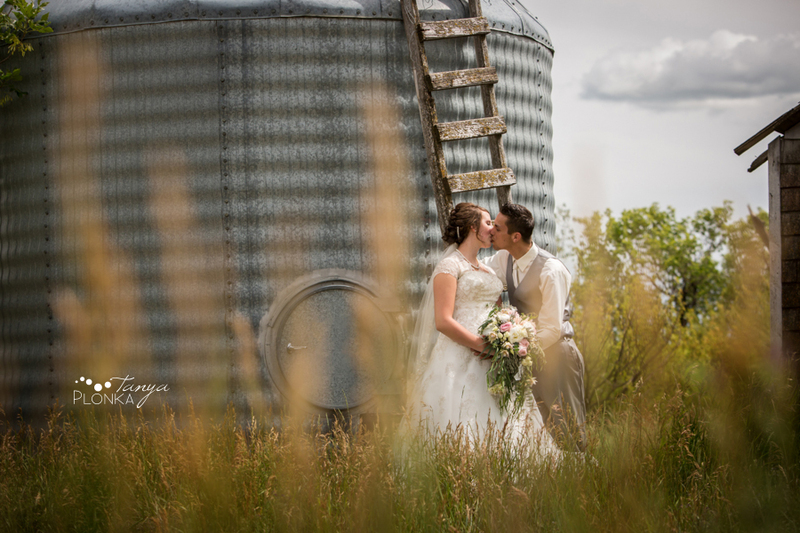 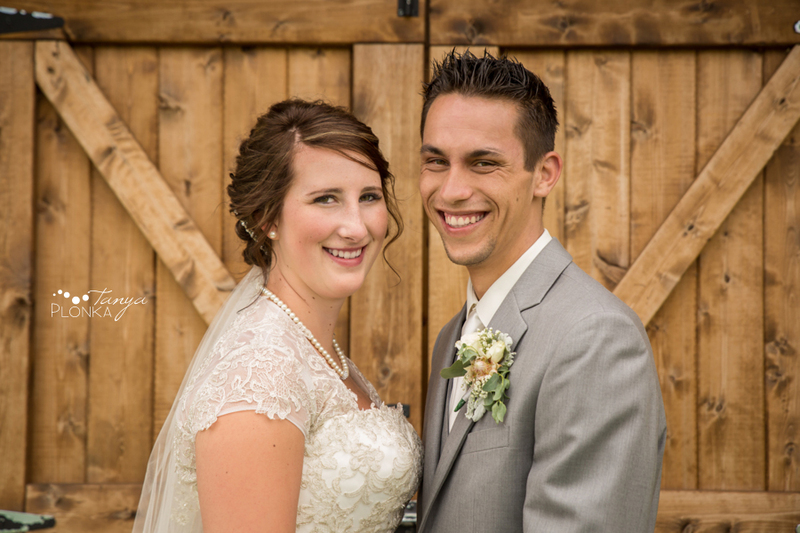 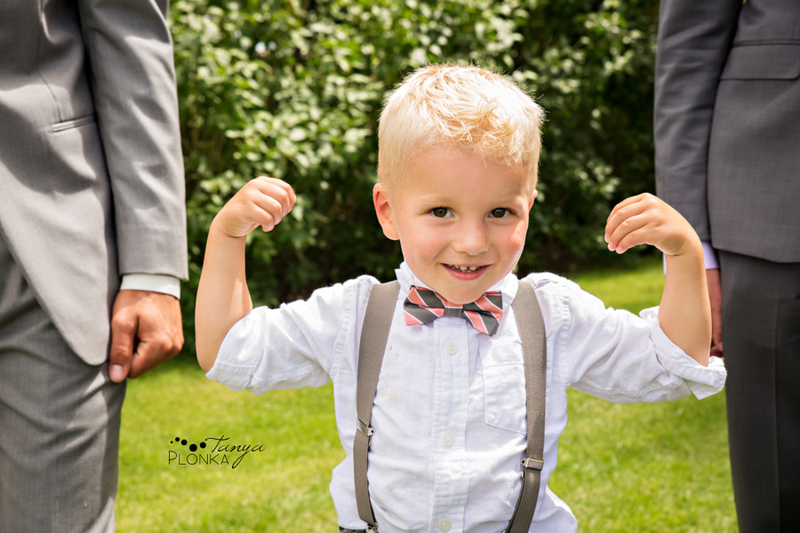 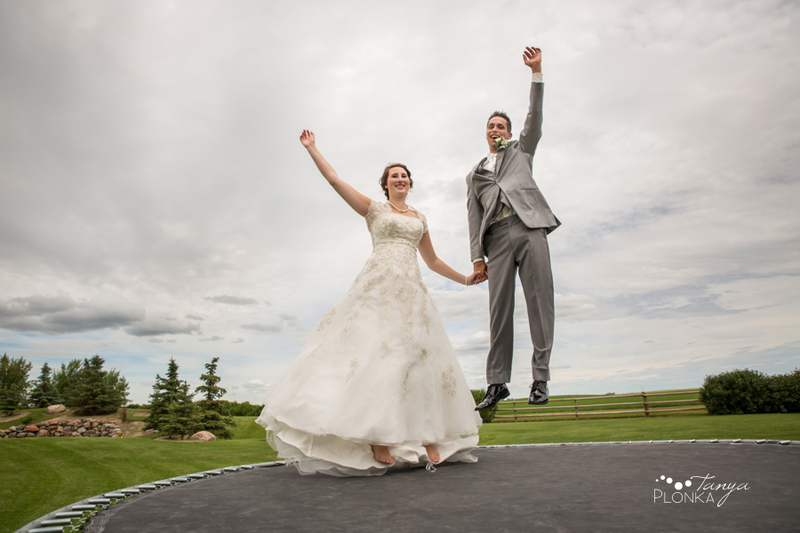 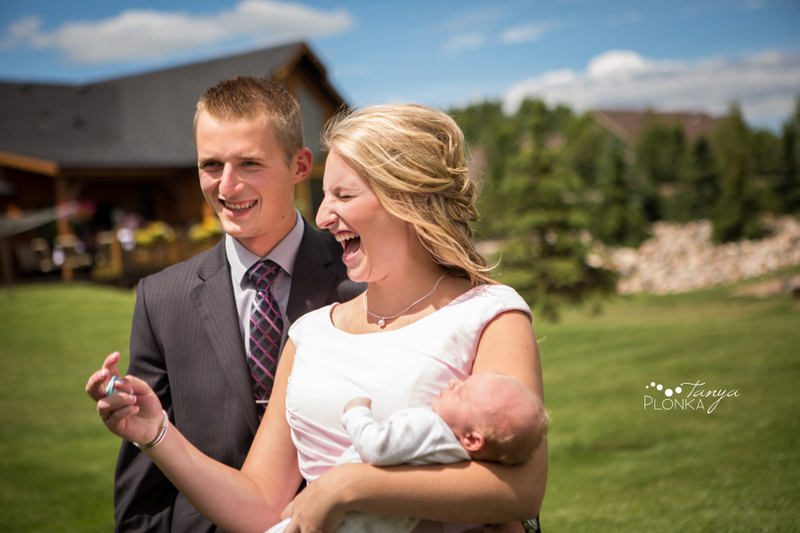 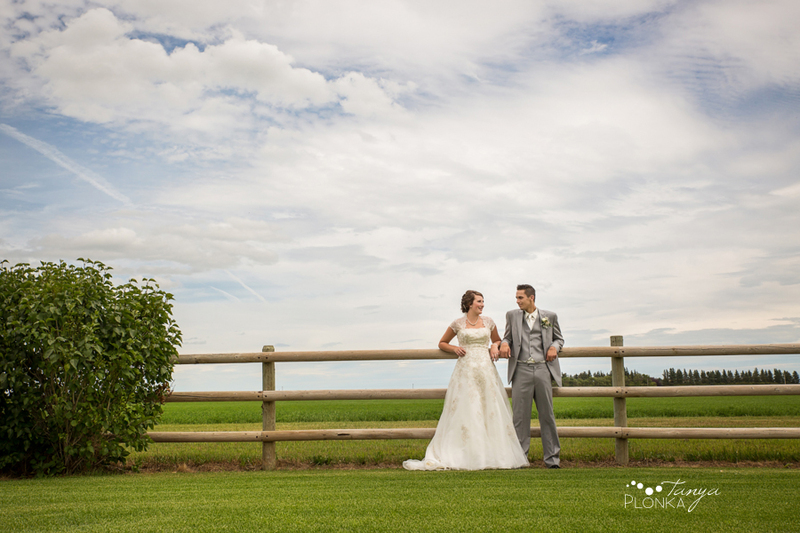 Following their ceremony and lunch, we started with Picture Butte farm wedding photos at Daniel’s family’s home. 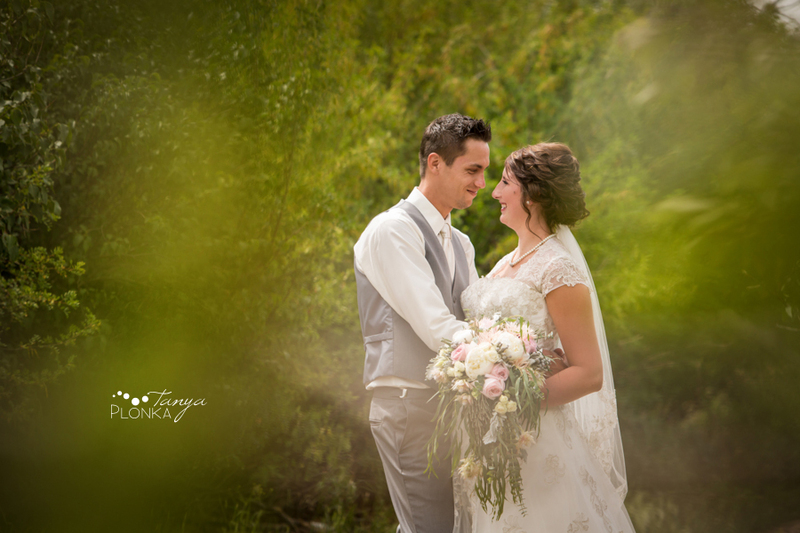 They had a beautiful yard with rustic elements and it was a gorgeous day with a perfect mix of sun, clouds, and a breeze. 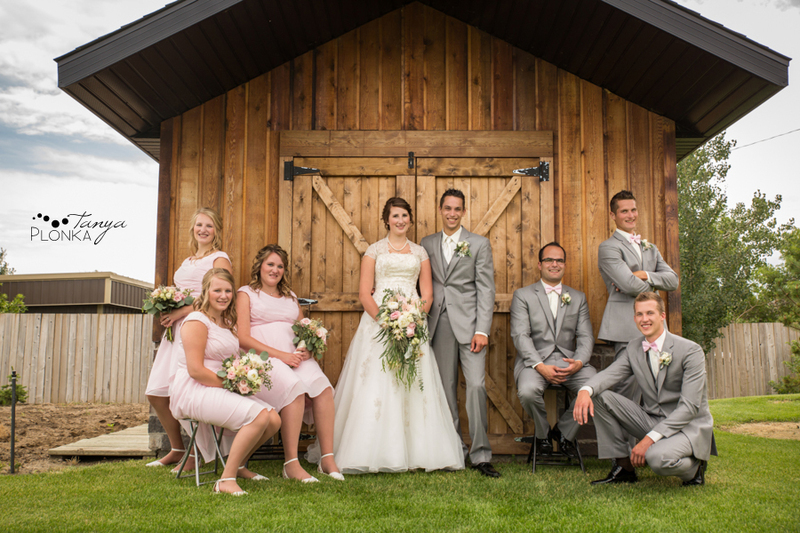 Their nieces and nephews were such hams in front of the camera! 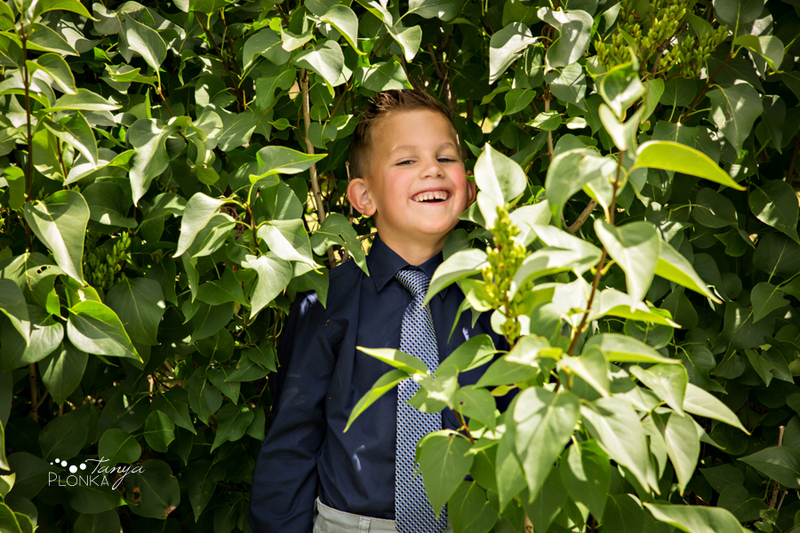 It can often be difficult to get kids to pose for photos but it seemed like everyone there would strike a pose as soon as the camera was in front of them. 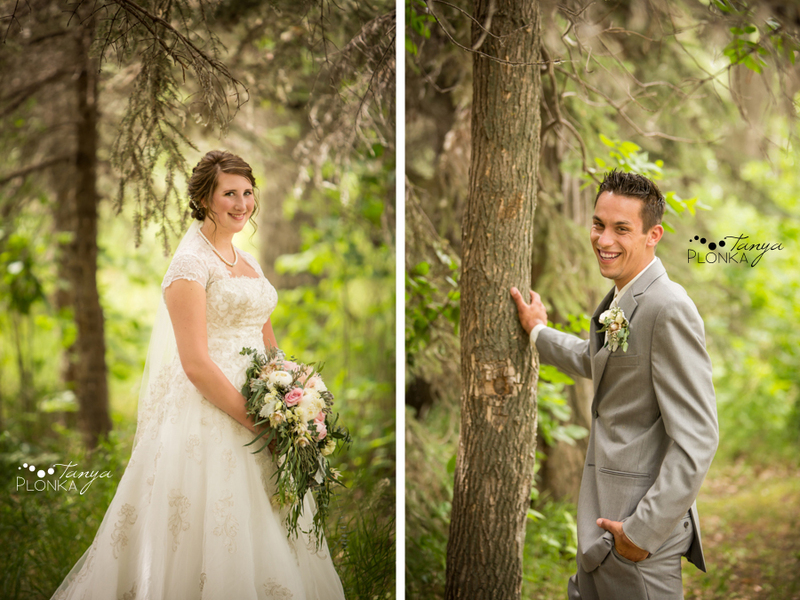 We didn’t have to go very far to start out the portraits. 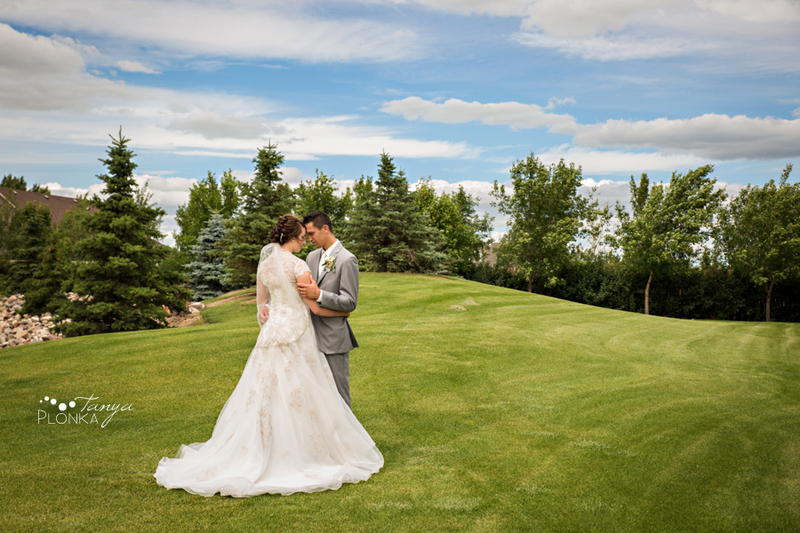 The family yard was so beautifully landscaped! 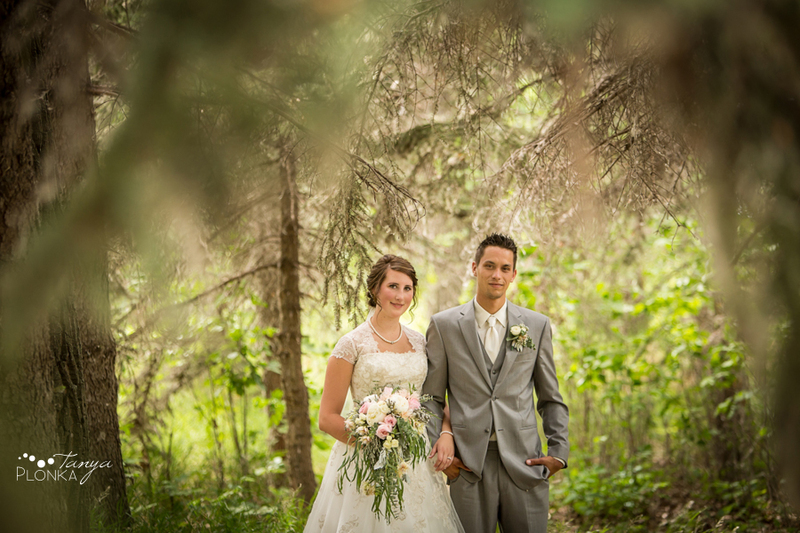 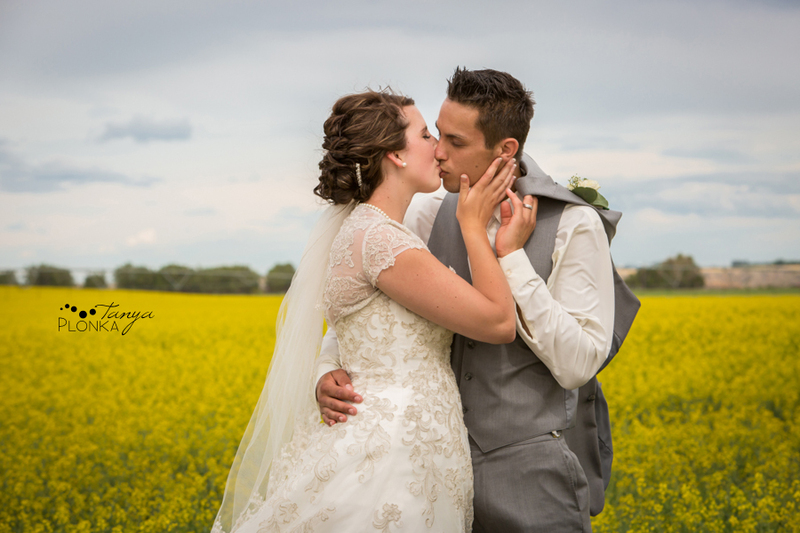 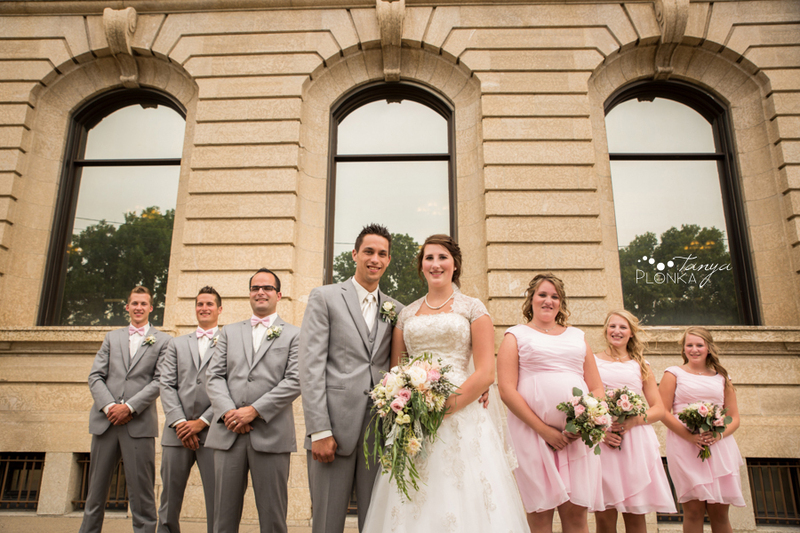 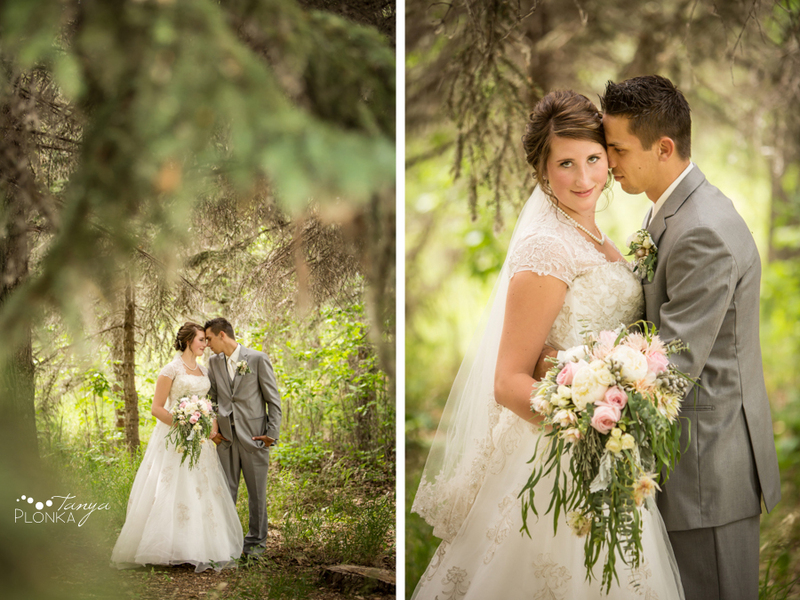 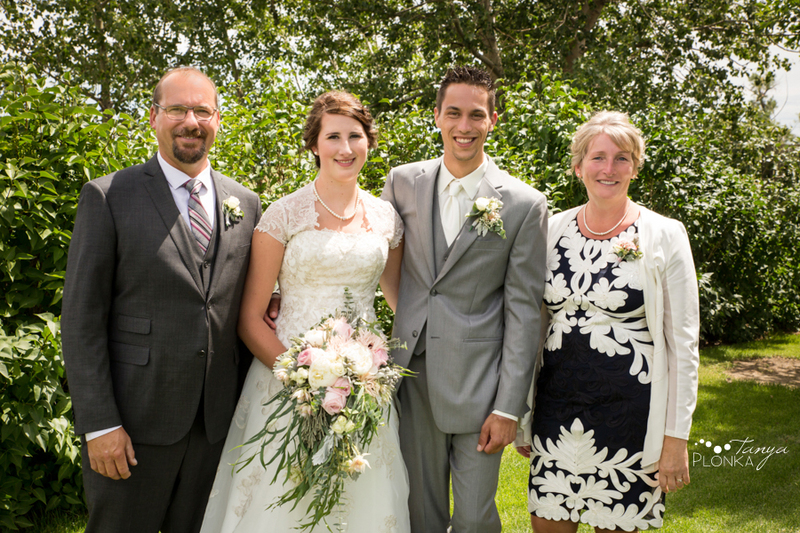 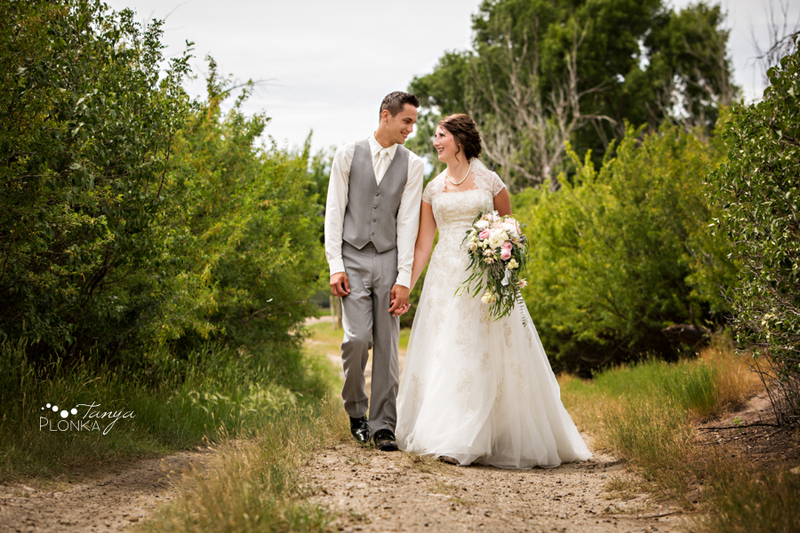 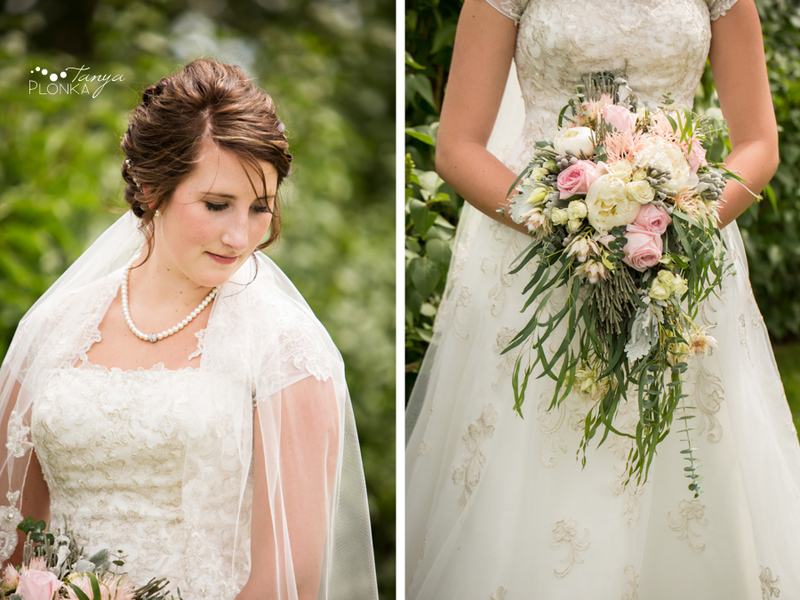 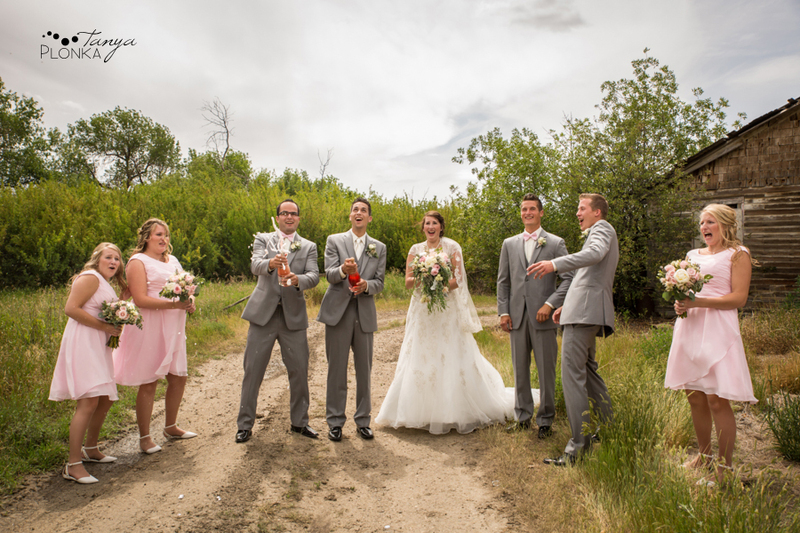 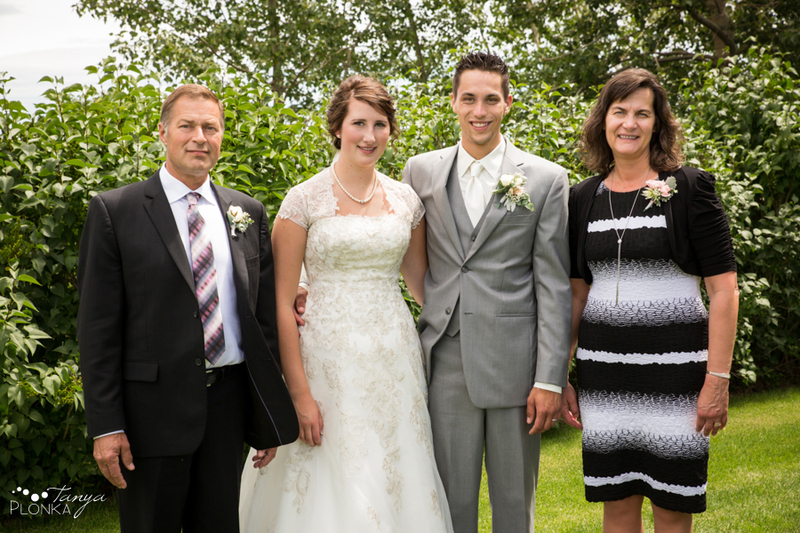 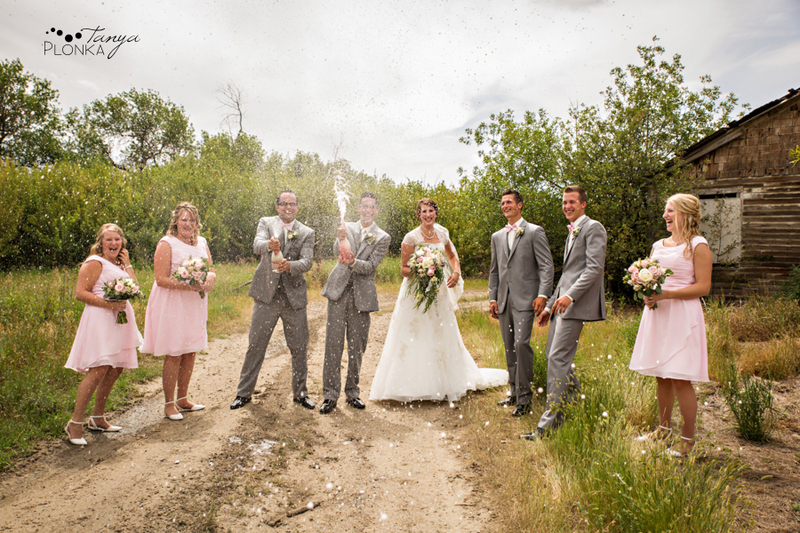 Jelaina’s stunning bouquet was created by The Blooming Willow in Coaldale. 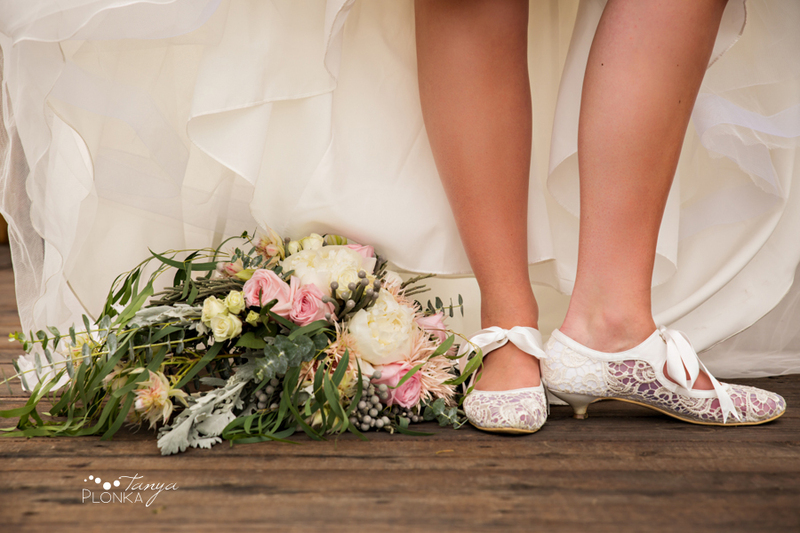 Jelaina had elegant and unique lace shoes. 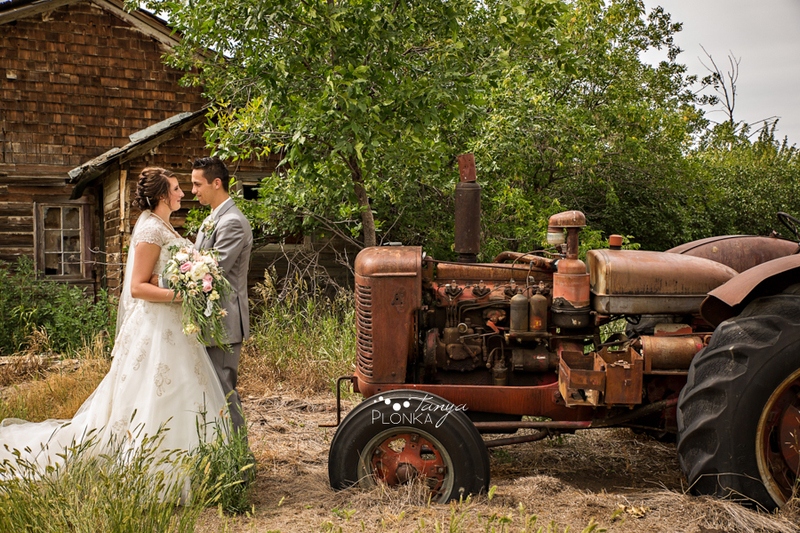 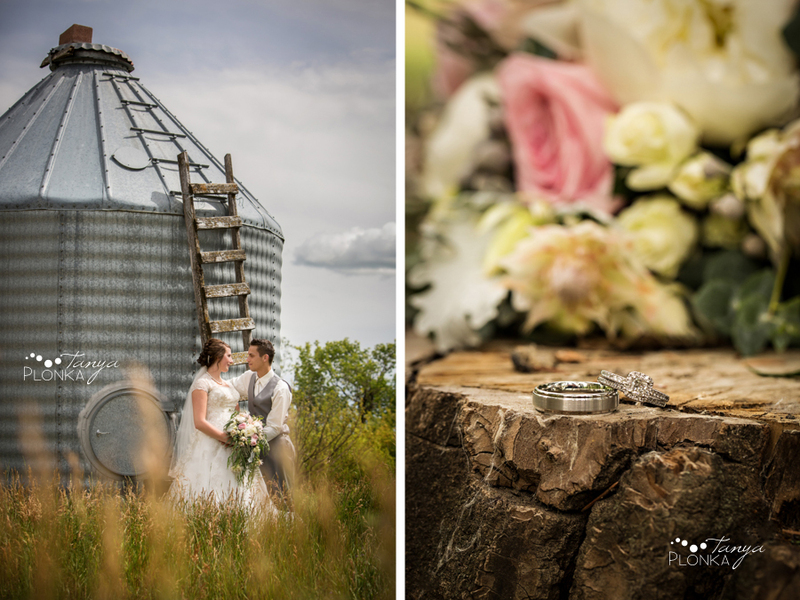 They got permission from a neighbour to use their rustic farm property for a few photos. 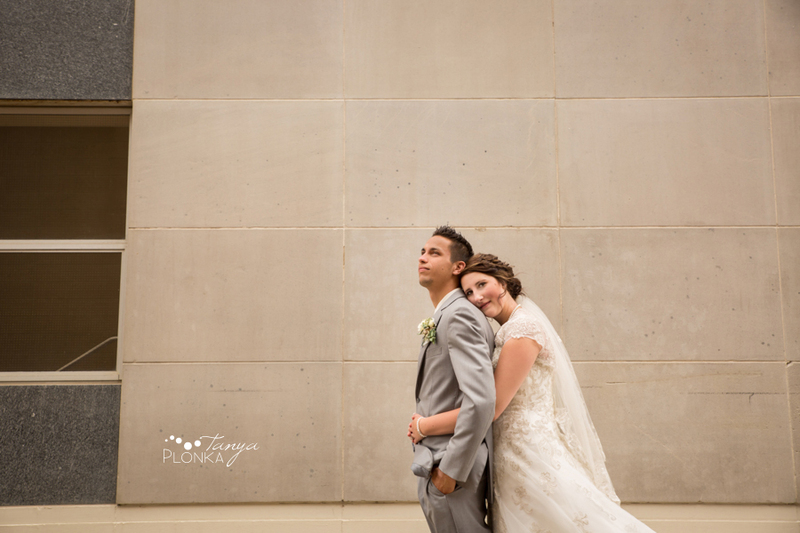 It was such an amazing spot! 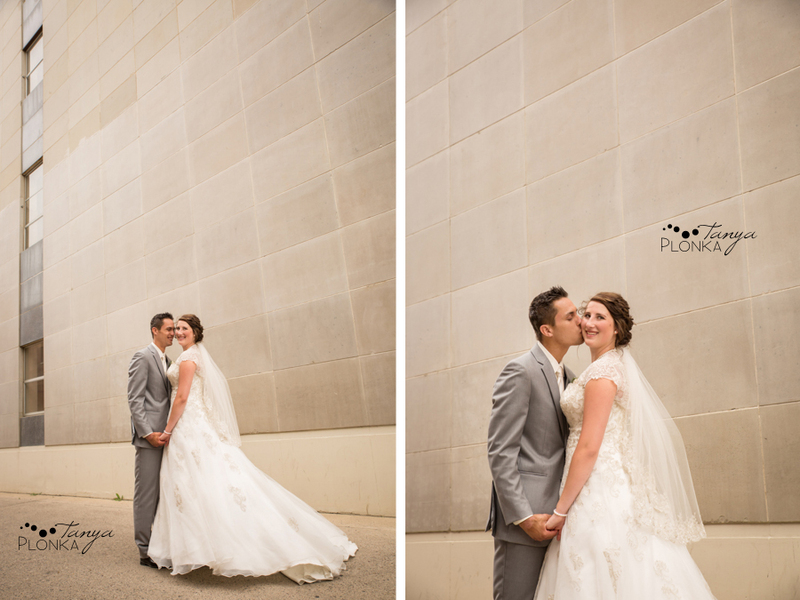 They went for as big and dramatic of a champagne pop as they could possibly get! 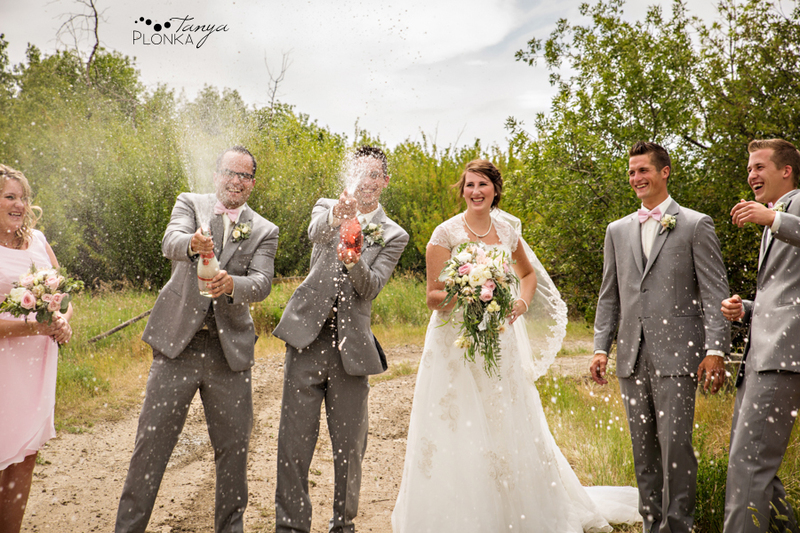 The reactions are priceless. 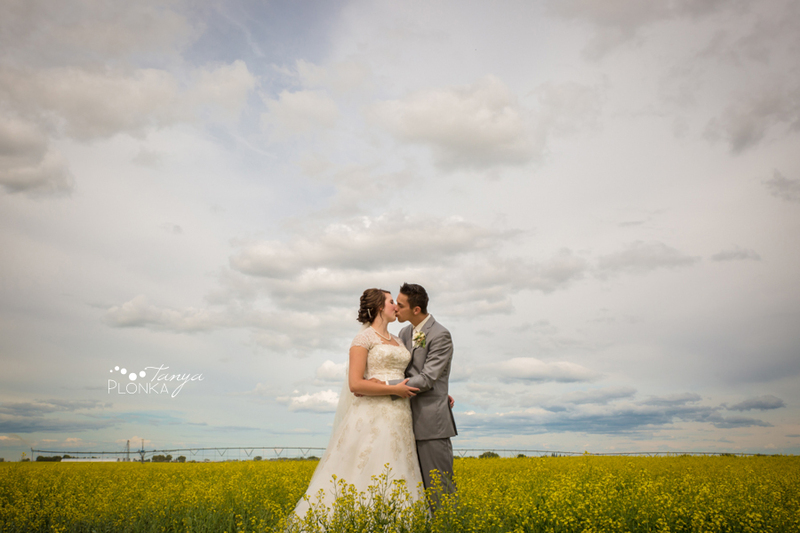 It was perfect timing for the canola fields to be in bloom so we stopped along the highway on the way back into Lethbridge.